I manage the dining hall at a boarding school that has nearly 400 students. Periodically, we have issues with the kids not taking their soiled dishes to the dish room or other such minor infractions. We have one young man who is a chronic offender, and he tends to sit at the same table for each of his meals. A couple of weeks ago, one of my staff discovered that “his” table had been left particularly messy after lunch. In order to confirm which student was responsible I had her look through the pictorial directory to identify who had been sitting there. She selected this young man. There was only one problem. He hadn’t been at school that day. So much for eyewitness testimony. · Memory is not a video recorder, where everything is seen in the mind’s eye objectively and exactly as it happened. A memory is more of an impression of an event. · Depending on our past experience, our brains put different things we’ve experienced into different categories for future recall. When an event occurs that fits one of our schema, our brain pulls out all of the bits of that schema to process the new information and the overlap can mix things up a bit. 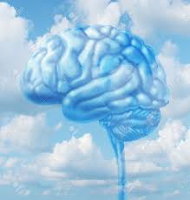 · There are two stages of memory: 1) short-term memory involves the information our brain doesn’t process for future recall because it’s seen an unimportant, and 2) long-term or permanent memory where information is seen as important and therefore stored for future recall. The key to whether or not we remember an event or person depends on how our brain dealt with the relevant information at the time of the event, and there are many variables that affect this processing such as our beliefs, motives, stress, stereotypes, and environmental factors. In addition, studies have shown that some faces are easier to remember than others. Also, some people are simply better with faces than others. You might not be surprised to discover that the amount of time between the event and when it’s recalled affects the way something is remembered. 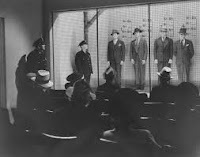 Currently, the federal standard for eyewitness testimony in court is that if a witness is very sure of his or her testimony, it is admissible in court. If there is any amount of uncertainty, it’s up to the judge to decide whether it’s allowed or not. 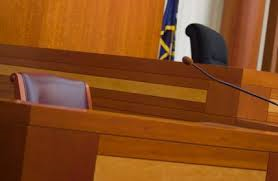 However, studies have shown that the degree of certainty of a witness doesn’t necessarily correlate with the reliability of his or her testimony!